In this review article of Andrew Fraser’s Invisible: A Diary of Rough Sleeping in Britain (Freedom Press, 2019) Rowan Tallis Milligan highlights the cruel effects of the housing crisis, while also pointing to the resistance strategies that are being employed all over the country – ‘pick up a crowbar, and get to work’. 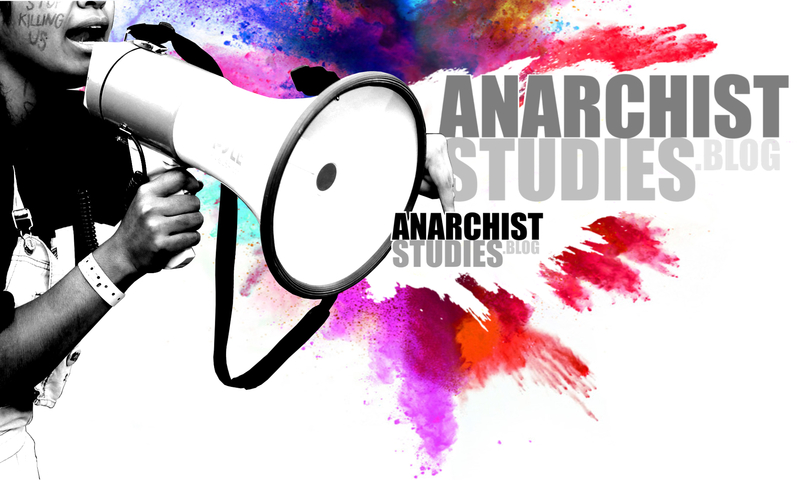 This article features the conclusion of a debate between Brian Morris and John Clark, which started with Morris’s review of Clark’s 2013 book, The Impossible Community: Realizing Communitarian Anarchism, in the Autumn 2018 issue of Anarchist Studies. In the final instalment of our series of responses to Daniel Colson’s A Brief Philosophical Lexicon of Anarchism from Proudhon to Deleuze, Roger Farr offers ‘affinity’ as a path to follow between the Lexicon’s terms, and ruminates on Colson’s own use of the term ‘affinity’ as a potential first step. Iwona Janicka picks up on Colson’s reference to Gabriel Tarde to discuss the role of imitation in shaping behaviour. She points to the inherently mimetic aspects of anarchism, as exemplified in anarchist housing co-operatives and other intentional communities. In response to Colson’s identification of anarchism as a ‘radical critique of representation’, Teresa Xavier Fernandes unpacks Nietzsche’s conception of representation as a ‘lie’. In her Nietzschean typology of ‘liars’ Fernandes identifies the anarchist as a ‘faker’ who reminds us that representation is a trap. In this article Fabrizio Eva highlights the gap between the principles of inter-state relations (as espoused by the United Nations and the so-called ‘International Community’) and their actual practice, suggesting that the critical stance of anarchist geographies provides a good perspective to better understand ‘International Relations’. The article traces the links between ‘classical’ and contemporary anarchist geographies, before offering an analytical procedure informed by an anarchic critical approach to Geopolitics. Judith Suissa works in the field of Philosophy of Education, and reflects here on anarchists’ relationship with the key academic process of peer review, arguing that, while it is increasingly distorted by the marketisation of the university, it can be enacted in keeping with anarchist ideals. The Sparrows’ Nest is an anarchist library and archive in Nottingham, UK, which celebrates it’s tenth anniversary this year. Jim Donaghey met with one of the Sparrows to talk about the space, its role in the local community, and the importance of documenting and sharing the history of anarchist movements. (Audio stream with transcript). Ron Scapp’s polemic forwards the commitment to ‘education as the practice of freedom’. In the age of Trump, even those doing ‘critical pedagogy’ might want to consider what they are doing and how they are doing it, in and out of the classroom. Scapp’s modest exploration considers an ‘anarchist pedagogy’ as a means to push back against rigidity, and to liberate educators and students from the impact of neoliberal reforms. The House of the Black Gecko started life fourteen years ago in São Paulo, Brazil. An activist from ABC Ativismo provides a brief profile of the space, its history, and the wide range of activities it currently houses. Long live the House of the Black Gecko! The recent strikes at UK universities have witnessed an outpuring of anger on the picket lines, and foremost among the complaints has been the rampant casualisation of the workforce. Steven Parfitt reflects on the recent strikes, and looks back to the historical examples of the IWW and The Order of the Knights of Labor in the US to learn from their examples of organising precarious workers, and looks ahead to how the University and College Union (and others) might best combat casualisation. Harold Barclay, highly renowned anarchist anthropologist, passed away peacefully a few months ago. In this article, Nathan Jun pays tribute to Harold’s influence on anarchist studies, and the article also includes an obituary written by Jane Barclay, Harold’s wife. Jonathan’s Haidt’s The Righteous Mind argues that ‘gut reactions’ affect our thinking and our political outlook. Brian Martin looks at Haidt’s six ‘moral foundations’ through an anarchist lens, to ask how gut reactions shape anarchist thinking, and the implications this might have for anarchist political philosophy. Anarchist geographer Simon Springer argues that calls for ‘Left unity’ are symptomatic of the waning influence of Marxism, whose proponents are desperately clamouring for relevance by appealing to anarchists. Springer discusses his public debate (or lack thereof) with Marxist-Geographer-in-Chief David Harvey, and concludes that, at the bottom of it all, Harvey is afraid of anarchists. In an in-depth insider account, Manuel Lozano dissects the roots and reverberations of Catalan secession. ‘Independence’, he argues, is an orchestrated ‘crisis’, a convenient smokescreen for factionalised elites (both Catalan and Castilian) who are seeking to sideline the systemic challenge presented by the 15-M movement.